Box says Widescreen 16:9 - It is not. Yan always sees dead people (Sixth Sense anyone!?). Jim, her psychologist, thinks it's all in her mind, brought on by loneliness and by unpleasant experiences from her past relationships. He devotes all his time to curing her. Jim soon falls in love as Yan is freed from her visions, but very soon, strange things start to happen in Jim's life, which he cannot explain. 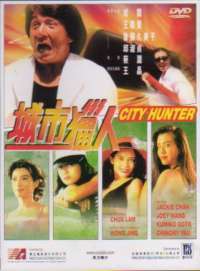 Inner Senses is another one of the films which followed the recent Hong Kong film trend of making suspense horrors. Undoubtedly this trend was kickstarted by the success of similar films from the US, most notabley The Sixth Sense. 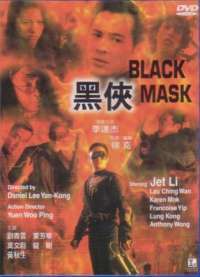 It is therefore unsurprising that several of the Hong Kong suspense horrors which have appeared feature a main character who sees ghosts. While this in itself isn't that uncommon a theme in horrors, any post-Sixth Sense film is, therefore, almost certainly going to be compared to it. Inner Senses is no exception. However, fortunately it is also a very good film in its own right. There are two stars in this film, Karena Lam as Yan, and Leslie Cheung, in his final role before his tragic death, as Jim. The film starts with us being introduced to Yan as she is moving flat. Soon, however, we realise that something spooky is going on. With scars on her wrists, we learn that despite the relatively normal exterior, she lives a terrifying life, essentially being haunted by ghosts wherever she goes. With help from her concerned friends, she is persuaded to go see Jim, who is a psychologist, lecturer and someone who does not believe in ghosts. Over time, Yan begins to trust Jim and his treatment, but another night of being terrified by ghosts pushes her over her limit and she again tries to take her life, but is unsuccessfull. Meanwhile Jim has a theory as to why Yan is seeing the ghosts, and he uses this opportunity to see whether he is right, and hopefully cure her for good. With Yan apparently no longer seeing ghosts, and generally appearing a lot happier, they both think that she has been cured, but no sooner has this happened and memories from Jim's past start coming back to haunt him. While the "seeing dead people" comparisons to The Sixth Sense are inevitable, I don't believe the two films have much else in common. They are both ghost stories, but the plots contained within each film are completely different. Anyway, enough of the comparisons, onto the film itself. Inner Senses is exceptionally well acted by both Leslie Cheung and Karena Lam, and well directed by Lo Chi Leung (who won the HKFA Best Young Director award for this film, at the 22nd Annual HKFA, Hong Kong's equivalent of the Oscars). There are many suspense filled scenes throughout, some of which, on first viewing, really scared the sh!t out of me. As the scenes moved on and the suspense built up, I could feel the hairs on the back of my neck and on my arms stand on end, goose pimples appeared on my arms in several scared cold shivers. It was a fantastic feeling! There are few films on the whole which have this sort of effect on me, so I have to give credit where it is due. There is really only one thing which I will fault this film for though, and that is the ending. I believe the ending is a little to "nice and happy" for the tone of the rest of the film. I obviously don't want to spoil the ending for anyone, so I'll try and be as vague as possible here, but given the events that happen in the second half the film, and the effect this has on Leslie Cheung's character, I believe an upsetting ending would have been far more fitting. Maybe that is the side of me that likes to revel in the misery of others speaking, I don't know, but I do find sickly sweet happy endings to be... well, sickly sweet. And that's not a good thing. Nonetheless, this fault aside, I don't hesitate to recommend Inner Senses to people that like a good bit of suspense in their films, and also people who just enjoy good films. It isn't the scariest film you'll ever see, but it should definitely give you the creeps while watching it!